Being picky means knowing what you want. Knowing what you want enables you to choose a path to obtain it. 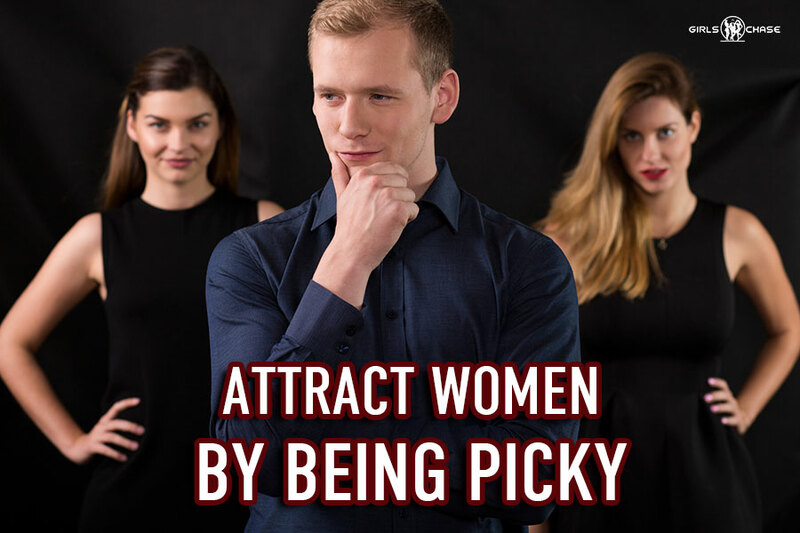 And this decisiveness helps attract the women you like. Everyone has their preference when it comes to dating women, whether that be what music she listens to, shoe size, political views, or even her hair color. Knowing what you want helps you find your next favorite girl – and it enables you to get her in bed, too. The level of your game is what allows you to pick and choose your women. If you’re fresh in the game and haven’t honed that fire that burns deep within all men, fear not – you have a lot of time and plenty of girls with which to practice. Allow yourself to be vulnerable, go and approach, and earn the right to be picky with the girls you pursue and how you pursue them. Every loss brings you closer to your next girl. Improve faster by recognizing what went right and what went wrong. Do you remember which joke made her giggle? Do you remember when it all went to hell and she walked away? Focus on that, and you will be much closer to creating a list of shaggable women. When you get to a certain level, you can be picky with not only the quality of girls but also how you approach them. You will know who is interested and likely to respond well to your advances. You don’t need to waste time approaching random girls who may or may not be attracted to you. Unless, of course, you’re a dog and want to. My buddy Hector is one of those guys – he’s always horny.